Fun weekend ahead and an update….. I am almost at week 2 post (still likely) pubic ramus stress fracture. I went back to the sports doctor yesterday for another X-ray which was inconclusive as expected as most stress fractures don’t show up on X-ray for a few weeks if at all. He is sending me for an MRI tomorrow and continues to say lay low until we have a complete diagnosis. Also it is still early so best to allow it to continue to form callus and get stronger before exercising. Needless to say “Patient Polly” as I have named myself is trying hard to measure progress in weeks not days. On the positive side I am off my crutches, using a cane but can take some steps without pain and less of a duck like gait. So seeing that progress is encouraging at not quite 2 weeks in. I will say again, I am just DYING to do some light exercise . Plus all my new Mizuno gear I received is staring me in the face wanting to be worn!! I think I just need to wear it around the house or to go out so I can still feel that athlete in me. I find when I am injured, I lose that feeling of being an athlete when in reality it happens to most if not all athletes at some time in their life. Okay so enough about the injury!!! On to the weekend………………. Tomorrow I will take Jada down to get her race kit for the TO Women’s run 5km. It’s her first solo 5km (we have done about 5 or so together). She wanted to run it on her own and finally is considered old enough by the race director (my friend Cory!) to do so. She has not really trained at all, started out for a week but then as she usually does, gets bored of training and just wings it! Which is totally fine in my books as she usually walks most of it after the first km. 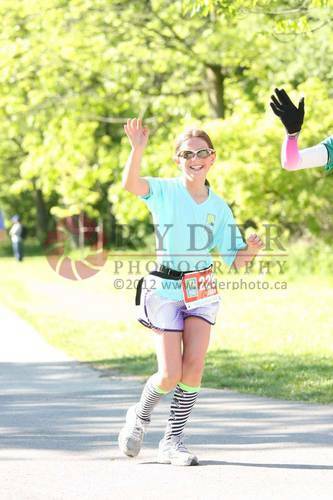 Jada (and my hand) at last year’s 5km. Sunday is the TO Women’s Half Marathon and 5km. My good friend Cory Freedman, as mentioned above is the founder and race director of this great series and it is sponsored by Mizuno, so I look forward to seeing Barb Mitchell aka the Mizuno Fairy there as well. Plus we always volunteer as a family and I know a lot of people volunteering and running . 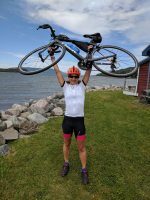 If you are looking for a great spring race (there are also two other races in the series and if you are a series finisher you get a great prize at the end of the season) this is one to put on the calendar. Awesome all women’s run series . Fun to always have a woman win the race! So that’s pretty much the weekend. Should be good to be out and and about . I also get to see my good friend Mairlyn Smith at her place for a coffee and chat. If you are local to TO or anywhere in Canada you have likely seen her on Breakfast Television and City Line. 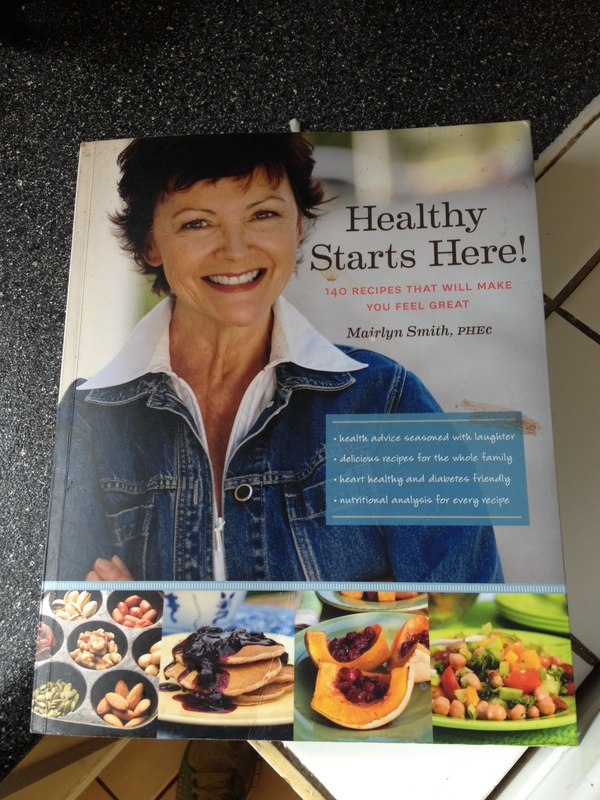 She is a funny, witty home economist and awesome cookbook writer of all things healthy but soooooo tasty! If you have not yet seen her or any of her books, you should check them out. I love Mair and she is always such a wealth of info. We don’t get to see each other that often but when we do it is just time that flies so fast. Such amazingly tasty, healthy and EASY recipes! So that’s it for this update. Maybe I will have more good info after Tuesday too when I get my MRI results. And I hope to be off all walking aids by then too! Here’s to a great sunny weekend.